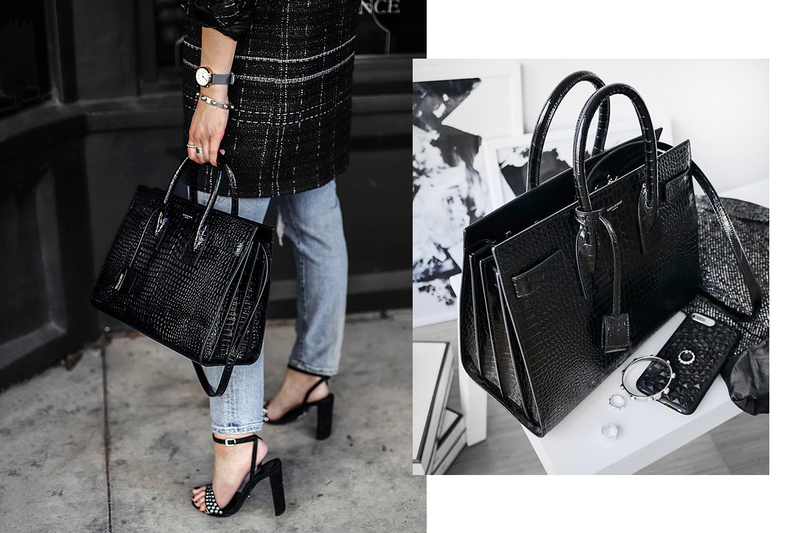 I’ve been eyeing the Saint Laurent Sac du Jour in embossed croc for awhile now and finally pulled the trigger last week when I was shopping on the italist.com. It's been one of my favorite sites to cruise for luxury goods because the selection is massive (I apologize in advance for your carpel tunnel) and the prices are so much lower than US department store prices because you get to shop directly from Italian boutiques. The only con is returns aren't free because they have to be shipped back to Italy. My Saint Laurent bag though was seriously such a steal and arrived in 3 days from Italy. I can't wait to wear it with everything!